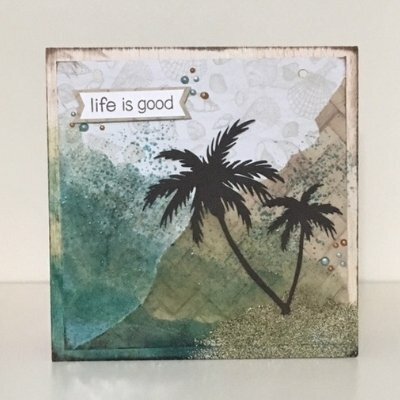 Seth Apter and Emerald Creek have teamed up again to create some amazing embossing powders that can take you somewhere tropical. Come and make this wall art using a variety of techniques and products. Hang it in your office, or somewhere special at home. This is a Drop In class. No need to register or come at a set time. Available Friday, Saturday and Sunday, while supplies last. As we are using heat guns and specialized tools, this project is not appropriate for children under 12 years of age.